Educational blogs on nutritious foods and how to add them into your infant’s diet. Easy to follow recipes that the whole family can enjoy. Is my baby ready to start solids? When should I introduce common allergens like peanut butter and gluten? When should I introduce water? PDF timeline of solid food introduction to post up on your refrigerator for reference. Weekly guidance on what solid foods to introduce including vivid photos on how to prepare, serve and store them. Education on why you are introducing that food, what nutrition it is providing and what your baby needs to get the most out of the food. Information on serving size at each meal and suggested feeding schedules at each month to balance milk feeds and solid meals. Education on known allergens (ie: egg whites, peanut butter, gluten containing gains) in line with current guidelines, how to introduce, when and what to look for in case of a reaction. Information on supplements like probiotics and desiccated liver to boost your baby’s immunity. Informative blogs. 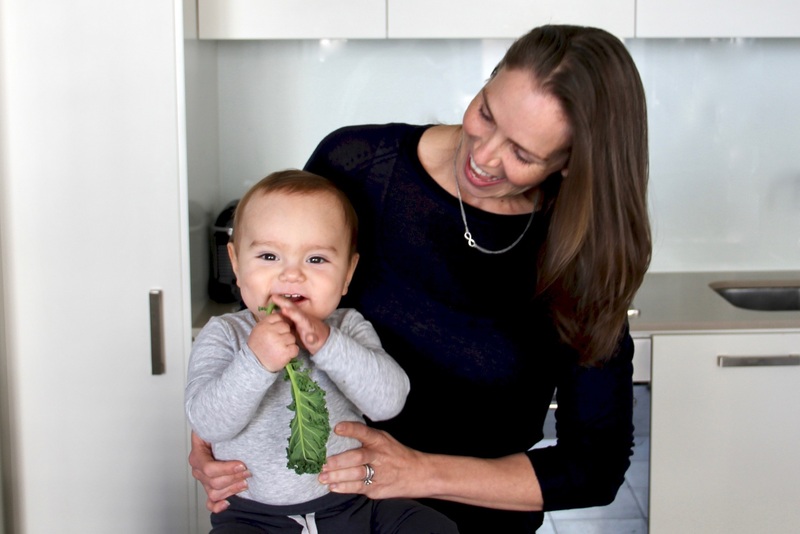 Education on the nutrients, vitamins and minerals that your baby needs to sustain the growth spurt from 6-12 months and what foods you need to be providing to support this growth. Helpful tips on feeding, finger food ideas to ensure you don’t run out of creativity and turn to packaged products, teething remedies and so much more!